Hello Games, the developers of XBLA hits Joe Danger and Joe Danger 2: The Movie, debuted its next title, No Man’s Sky, at the 2013 Spike VGX over the weekend. 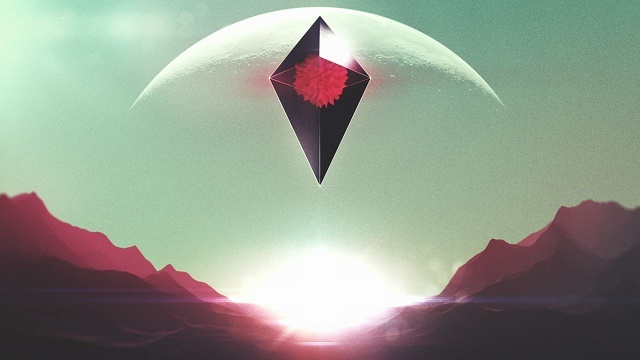 No Man’s Sky is a space exploration game that will feature procedurally generated planets, ensuring that each player’s experience with the game is unique. The game will allow players to explore deep oceans, experience space battles and discover new, ever-evolving worlds. As of now, Hello Games has not announced platforms for No Man’s Sky. Joe Danger 2: The Movie was developed by Hello Games and published by Microsoft Studios. It was released Sept. 14, 2012 for 1200 MSP. A copy was provided for review purposes. Every time we go to the movies, we see the death-defying daredevil antics that stuntmen go through. Sometimes it’s as simple as crashing a car a specific way or driving an ATV across deadly terrain filled with traps and spikes. 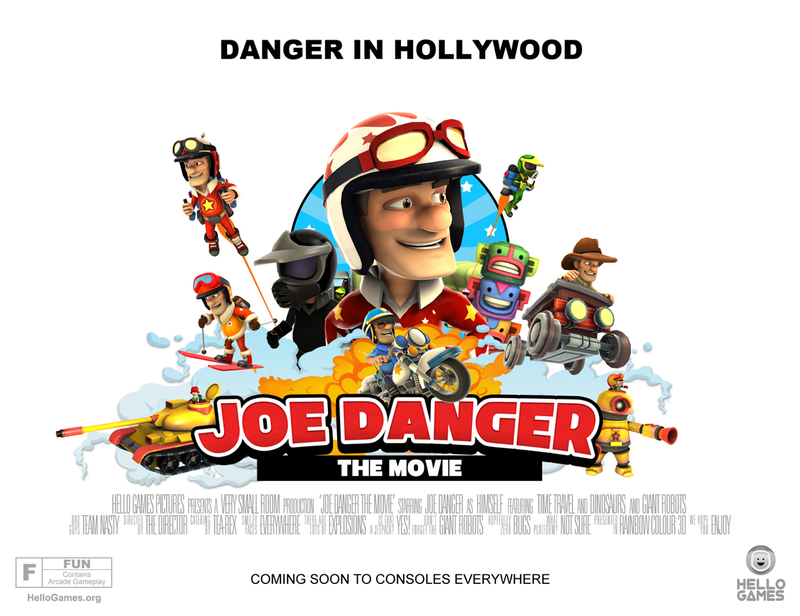 Joe Danger has seen his share of stunt-work in the past but he wasn’t ready for the biggest job of his life: his own movie. 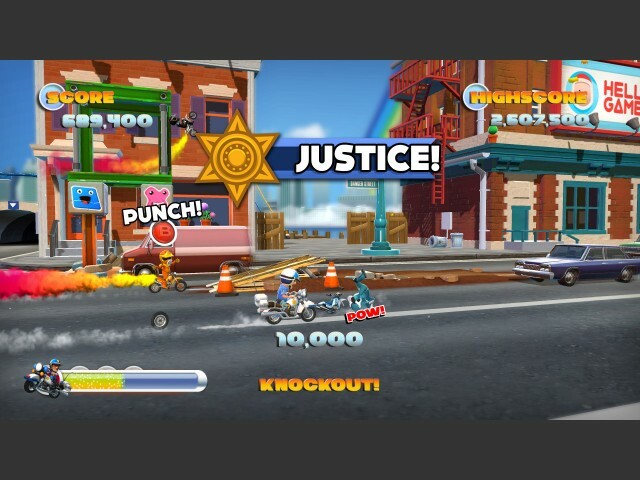 Joe Danger 2: The Movie is the sequel to the original Joe Danger (Special Edition on XBLA) but instead of just making another motorcycle stunt-driving game, they took a much better direction. As Joe, you’ll have to go through stunts in the movie, and the script is full of variety. But we might have an Oscar-caliber XBLA game on our hands. A sequel that feels like it has more life and deserves to sit in your VHS collection with Commando and Speed. The game takes daredevil Joe Danger’s antics to the next level. In Joe Danger: The Movie the lovable stuntman takes on Hollywood. He’ll ski down a dangerous slope, chase bad guys on his police motorcycle, and even ride a mine cart a la Indiana Jones. We adored the first game, so we’re really looking forward to seeing what else Joe gets himself into. Hit the jump for a refresher trailer. UPDATE: We’ve received confirmation that Joe Danger: The Movie will launch September 14 for 1200 MSP. New Santa DLC coming next week for free! Check out the preview video right here. 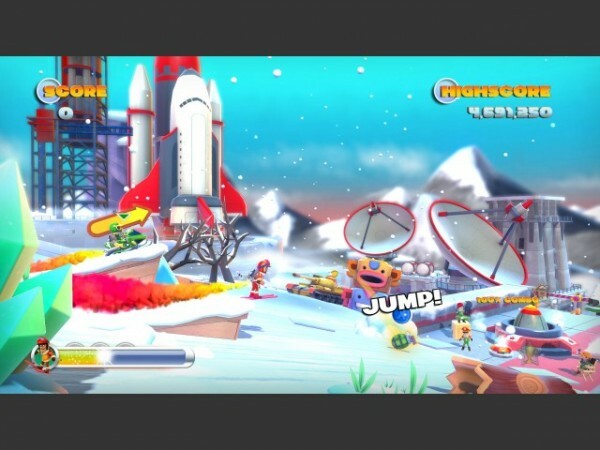 Joe Danger: Special Edition was developed by Hello Games and published by Microsoft. It was released on December 14, 2011 for 1200 MSP. A copy was provided for review purposes. We saw many great XBLA titles come out last year, but there are always a few titles that get away from us on other medium. From the Pixeljunk series to Fat Princess, PSN has its share of great downloadable games. But one that stuck out the most and you couldn’t blame XBLA for being jealous of was Joe Danger. 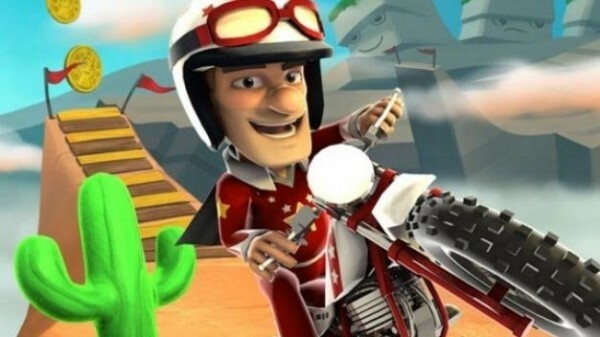 Now, a year after its release, Xbox 360 owners will finally see that lovable daredevil with Joe Danger: Special Edition. Protagonist Joe Danger has experienced a rise and fall to his daredevil popularity. Realizing he must get back in the game, he straps on his cape and helmet and straddles his motorcycle again. Fans of Trials HD and Excitebike should take note as the game plays in the style of both classic motorcycle games. But what it represents with its influences, it completely shatters both games in terms of charm, replay value and overall fun. Joe Danger will be out of the stunt business after The Movie game. We cover all the new releases for XBLA this week bringing you a little bit of everything from a new game to several DLC packs. The newest updates on what avatar awards are coming out next.